Well we certainly had some very good value losers today at Kempton. The main fancies attracted significant support, in particular Vale Of Lingfield (from 7/1 to 3/1) which had nowhere to go two furlongs out having been boxed in on the rail. I trust we will have better days in 2013. Will probably play the Sunday matches too, depending on the prices available. Argo now best priced 5/4 this morning. I guess you could argue the bookmakers have the wrong favourite. Hope you are on at 9/2 and if not 5/2! Having suggested Argo for Best Picture a couple of days ago (@ 9/2) there has been a sudden plunge today, resulting in the best price with bookmakers reducing to 9/4 (Sportingnobet). Although there are bits and pieces available on betfair around 3.5 before commission at the time of writing. I wonder if a major tipster has put it up or if there is a strong rumour emanating from Hollywood? Time will tell. As I have kept stakes to a minimum for the last match it means that if these bets are losers we will still finish marginally ahead on the tourney thanks to Sloane Stephens' semi-final appearance. Horrible results in the three selected FA Cup matches played Friday/Saturday. All three matches were level with five or fewer minutes to play. Everton scored their winner on 91 minutes. In a way the Friday match was even worse because Aston Villa were the losing team (on 89 minutes) thus increasing the chance of Lambert getting the boot before Pardew does. I hope the board continues to support Lambert - they have declared that Lambert would be the right man to bring the team back up to the Premiership should the Midlands' side be relegated. Let's hope that remains the case. Big match on Tuesday - a relegation "six pointer" - the Premiership encounter between AV and Newcastle. I hope AV can win it. Only the Leeds match can save our FA Cup stakes now - tomorrow afternoon. On the tennis front I thought Li Na was a little unlucky to lose the final this morning. She had two (genuine) MTOs. First she twisted her ankle. Later on she fell again cracking her head on the court. Nevertheless her prices for the next two GSs have contracted. She is now a best priced 10/1 for the French and 25/1 for Wimbledon. Carlos has work to do after this defeat but I think we have a little bit of value with the two bets. On her day she can hit anyone off the court. Bet is 4pt single on each match. Two winning bets required to show a profit. One winning bet for a minimum return of 14.4pts. Total 16pts staked. Just watching the Mugray match but thinking about the French Open. You'll recall that Li Na was the French champion in 2011 having been runner-up in the Australian Open the same year. In 2012 Sharapova was the Aussie runner-up and, much to some people's surprise, completed her career grand slam at the 2012 French Open (not a such surprise to me as she was blogged at 12/1 to do so). So the form carries through and if you examine earlier years' results you will find further evidence of this correlation. Carlos Rodriguez has started to have a significant influence on the Chinese's game and improvements can be seen even though she is now 30 years old. I seem to be rather wide of the mark with my 'emotional' bet on Les Miserables @ 12/1 for Best Picture. Hardly a value bet. I have just checked betfair and to say it is unlikely to win is an understatement. 30.0 is available on the exchange. I saw it last week and I was thoroughly impressed. However it's a rag in the betting and apologies if you have taken the 12s. I still have a gut feeling though that Lincoln may get turned over at odds-on for Best Picture. As the great man DDL said the other day, the Academy likes to surprise. I suspect though this statement was more as a deflection from his near certainty of being awarded his third career Oscar for Best Actor. Given the success of Argo in the Golden Globes (completely out performing Lincoln) I was keen to see what it is all about. I've been to see it this afternoon and thought it was tremendous - real edge of the seat stuff. They say it looks/feels good on DVD, a medium apparently used by the members of the Academy before pledging their votes. If you have not already done so, I would urge you to see both the films I have backed and I look forward to witnessing DDL's no doubt excellent performance in Lincoln. Maybe two or three bets at Kempton tomorrow. Unlike today, when my selection drifted like a barge in the market, I have already missed the best prices about the first selection. This is not good for a value specialist! Best price at the moment is 6/1 with Ladbrokes but you will only get that price if you are a loser. More Kempton action tomorrow no doubt. After some pretty awful tennis selections, a change of fortune as Sloane Stephens wins the second quarter by defeating her idol Serena Williams. It's only a 0.5pt staked bet but the 50/1 price given by Boylesports means a 25.5pt return to cover all the dross already down the pan. Total stakes on the Australian Open to date have been 17 points. So a small profit on the tournament is guaranteed. Of course I have also lost 4pts on the Serena calendar slam bet but if she misses one of the remaining three slams we get our money back! Perhaps she'll turn the game in now and just mentor the teenager? I may have a bet at Kempton tomorrow once I see the prices in the morning. 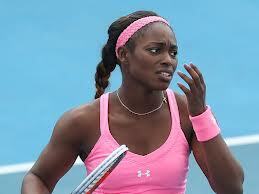 Meanwhile two good ladies' matches coming up with the above encounter followed by Sloane against Serena. I didn't think there would be any chance that Newcastle would sack Pardew in the near future because of the well advertised seven-year contract he has. However market watchers tell me all the shrewd money is for him to be next in line for the chop. Skybet have now gone 1/2 and often they get the inside track on these things because of their connections. Possible further bets here in the morning. First horse bet since Boxing Day obliges on the all-weather at Kempton. Put up at 7/2, it was a late drifter out to 5/1. Fortunately, because of the BOG concession, we are paid out at 5/1. Punters latching on to Aggie's good draw and form at last. 25/1 long gone and 14/1 is the best price at time of writing for an each-way bet. Have had a few small bets on the quarter winners in the women's singles. I note that skybet have stopped their practice of typically going 33/1 "any other" outside of the eight seeds a medium we have profited from in the past. They now just quote eight players with "others on application" LOL! I won't go through the reasoning for each of these bets. Suggest you have a look at their draws/current form if you are interested in following the wagers. Would say though that the Cibulkova bet is a leap of faith following her drubbing by Aggie in the Sydney final. She did have a great run getting to the final beating Kvitova, Errani and Kerber along the way and her coach will need to remind her of that before she starts her Aus Open campaign. Of the four major awards, Lincoln is a short-price for three of them: Picture 1/3, Director 1/4 and Actor 1/10. Only the Best Actress category has a different market leader (Lincoln not having been nominated here) in Silver Linings Playbook - a 4/7 chance. I saw SLP this week and had no idea at the time that Jennifer Lawrence was in the frame for Best Actress. Or, indeed, that this film is the only one nominated in all four of the above categories. Although billed as a RomCom, it is a bit more than that and I found it thoroughly engaging. Not least because of the betting sub-plot! JL a worthy odds-on favourite? What I am interested in though, from a betting viewpoint, is Best Picture. I have a feeling that Les Miserables could take the honour ahead of Lincoln. I have not seen Lincoln and I will not be seeing Les Mis until next week. I must admit to a bias here as I have seen the Mis stage show seven times (six times in London, once in New York), as well as the 25-year celebration at O2 of course. But this blog is about the bets I have had (including any declared bias) and, if you are bothering to read my drivel, all you need to do is decide whether to take any notice! The Sydney final takes place around 8:30am (UK) tomorrow. Aggie Radwanska who is 8-0 in matches this year takes on Domi Cibulkova who has had a terrific run herself in this tourney. Aggie beat Li Na comfortably in her semi (a good result for her as her record against the Chinese last year was poor). The diminutive Slovakian beat the world number five Kerber. The 25s about Aggie for the Aus Open is starting to dry up. Serena Williams has already accomplished a "Serena Slam", that is holding all four GS titles at the same time. She could achieve that status again by winning the 2013 Aus Open and then the 2013 French Open as she currently holds the Wimbledon and US Open titles. She was in tremendous form in the second-half of 2012 and if that form continues at this year's majors there could be no stopping her. She is already odds-on for the Aus Open with several bookmakers. She seems happy in her personal life so one could speculate that only illness or injury might stop her from a full house in 2013. I looked at the prices a couple of days ago and two firms were offering prices then on her GS performance in 2013 - Stan James and William Hill. The former were 20/1, the latter 16/1, for her to win all four in 2013. I couldn't have a bet because SJ is one of the firms who have closed my account. I've just looked now and SJ go 8/1! Somebody must have had £20 on! Skybet has recently copied the same price as WH but alas it was only available to me for a £3 stake. The world number four has reached the quarter-finals of the Aussie Open for the last two years, is improving and looks in good form at the moment. She is the only player guaranteed not to be in Serena Williams' half of the draw (as the American is seeded three, Aggie four). Having said that she is even money to be in the same half as her nemesis Azarenka - something we will find out on Friday when the draw is done. Despite the Vika threat, at current odds I think Aggie is worth an each-way bet as you can get 25/1, 1/2 odds to reach the final. So 12.5/1 to reach the final. No outright bet(s) in the FA Cup in the end. William Hill didn't enliven the market as I had anticipated. As a consequence VC "offered" by far the best odds on most teams. Unfortunately VC refuse to take my bets so I didn't identify any value opportunities. Ba made a good start to his Chelsea career, scoring a brace on his debut and giving encouragement to the thought that he may be selected ahead of Torres in sufficient league matches to give him a shot at the Golden Boot. VC quickly cut his TGS odds from 14/1 to 10/1 after his Cup double (Lads and Coral only 7/1). The Australian Open starts one week today and the forecast is for very high temperatures. In the women's event it will be hard to look past Serena, who will not be a betting proposition as she is already even money or shorter to win the tournament. The each-way market could be of interest with 1/2 odds to reach the final. The shape of the market could lead to attractive ew odds in the opposite half to Serena. The draw takes place on Friday. My first bets of 2013 may well be on the FA Cup outright. I suspect there will be a lot of bookmaker special offers on Saturday. In addition William Hill are likely to go best price on leading teams, despite their slight set back in the King George with the 3/1 offer on Long Run. According to Alan Pardew Demba Ba is now certain to join Chelsea. I guess it could still all go wrong if his long-term knee problem is a significant issue when he has his medical. Certainly Chelsea could do with a striker as they don't have one currently. Maybe he'll be the new Drogba? Maybe not but he should get more league goals - in the second-half of the season - at the London club rather than at struggling Newcastle, who lost their third consecutive league fixture tonight to stand just two points above the relegation zone.